We want you to get the most out of our site and to trust that we make every effort to protect your confidentiality. Personal information is either requested or required on many areas of Colon & Rectal Surgery Associates, to verify your identity and ensure that you qualify to use particular sections of the site. The amount and type of information received depends on how you use our site. The information may be stored and used in order to enhance our relationship with you. Please take a few minutes to read our complete privacy statement so you can understand how information is used and the specific measures we take to protect your personal information. This page describes the policies of our company regarding any information we receive about you, while visiting Colon & Rectal Surgery Associates. The only data we collect and store during normal website usage is typical web server log data. Examples of this type of data are: the name of your Internet service provider (ISP), the site that referred you to us, any pages you request, and the time and date of those requests, etc. We use this information to generate statistics and measure site activity to benefit Colon & Rectal Surgery Associates users. This same information may be shared with third parties in order to provide these services or to analyze, store, or aggregate the information. It may also be shared with other third parties working with us to improve the services of Colon & Rectal Surgery Associates or this website. There are instances where Colon & Rectal Surgery Associates requests personally identifiable information to provide site visitors with a service. This information, such as name, mailing address, email address, and type of request, is collected and stored in a manner appropriate to the nature of the request, as determined by Colon & Rectal Surgery Associates, to fulfill your needs. To reiterate, all information you provide is used to improve the services offered through Colon & Rectal Surgery Associates. This information is never provided or sold to any other company for that company's independent use. Website users may decide to send Colon & Rectal Surgery Associates personally identifying information via email. We will use this information for the purpose identified in the email message, and to enhance our understanding of you in order to improve our services to you. A revised privacy statement will only apply to data collected subsequent to its effective date on this version of the website. Any revisions will be posted at least 7 days prior to its effective date. New versions of this website may have a new privacy statement effective with its launch. Copyright 2008, Colon & Rectal Surgery Associates. All rights reserved. 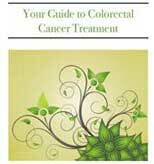 All text, images, graphics, animation, videos, music, sounds, and other materials on this website ("site") are subject to the copyrights and other intellectual property rights of Colon & Rectal Surgery Associates and Colon & Rectal Surgery Associates owns the copyrights in the selection, coordination, and arrangement of the materials on this site. These materials may not be copied for commercial use or distribution, nor may these materials be modified or re-posted to other sites.